Planning to take your boat out soon? Unfortunately many foul odors lurk in different areas of boats and are usually tough to eliminate. Clear The Air works great when it comes to foul boat odors. Boats are typically filled with powerful odors such as bilge odors, mold and mildew odors, fuel odors, head and holding tank odors, galley odors, smoke odors and pet odors. Earth Care will eliminate all these odors. In the past boat owners have had to use caustic chemicals, expensive detailing, air purifiers and caustic ozone machines to rid their boat of odors. Earth Care Odor Remover Bags can simply be hung in your boat and they will completely eliminate all these odors. Earth Care draws in odors like a powerful magnet. The odors are adsorbed, and neutralized without any fragrances. It is made from an all natural mineral, is non toxic and biodegradable and safe for Planet Earth. It is also safe around children and pets even if eaten. It does not have to come into contact with odor producer to eliminate the odor. Earth Care does not cover up odors it literally “clears the air” leaving the air fresh and clean. Hang one bag in each bilge compartment, the head, the galley, the forward cabin and aft cabins. Some air circulation such as an open hatch is needed. Do not put bag directly in standing water. All odors are typically eliminated in 24 hours. The bags will continue to eliminate new odors for up to 3 months. Each bag will cover approximately 100 square feet. Do not set bag in direct sun. If there are strong odors in your boat you may also want to sprinkle Clear The Air Odor Eliminator for Carpets and Furniture on all upholstery and carpet. Leave down overnight and vacuum. All odors will be completely eliminated. If you open your refrigerator, does an odor linger around in your kitchen even after the fridge door is closed? Whether it is in your home, RV, boat, vacation house or second refrigerator in your garage, fridge odors can be annoying and distracting! Clear The Air carries an Odor Eliminating Bag that will eliminate odors from your refrigerator once and for all. All you have to do is simply place the Odor Eliminator Bag in your refrigerator and foul odors will be eliminated. The Odor Eliminator Bags last up to 3 months. Perform a big fridge cleaning. Take everything out of your fridge. All the items that must stay cold, you can put in a cooler with some ice temporarily. Make sure to throw away any spoiled food and wipe any bottles or canisters that have food leaking out of them. Once you’ve taken everything out, turn off your refrigerator. Take out all your shelves and drawers and wash them in the sink to remove any spilled food particles. Wipe down the inside of your refrigerator with soap and water. Now, place one to two of our Clear the Air Odor Eliminator Bags in your fridge towards the back or wherever they won’t get in the way. Turn the refrigerator back on. Return the cold food items to the fridge and you are ready to enjoy your refrigerator odor free! Refrigerators can get pretty smelly. If you open up your fridge and it leaves a bad odor in the rest of your kitchen, one of our Clear The Air Odor Eliminator Bags will help! All you have to do is simply place the Odor Eliminator Bag in your refrigerator and foul odors will be eliminated. The Odor Eliminator Bags last up to 3 months. Once you’ve taken everything out, turn off your fridge. Take out all your shelves and drawers and wash them in the sink to remove any spilled food particles. Wipe down the inside of your refrigerator with soap and water. Do you have questions about our product? Please contact our customer service representative, Pat, and she will help answer all your questions. Eliminating foul odors in your RV or travel trailer. If you haven’t been in your RV for a while, you may experience some foul odors lurking in your RV when you go to get it ready for a trip. Tobacco smoke, kitchen, road kill, skunk, gasoline, smog, “doggie”, urine, mold/mildew, bathroom, and holding tank odors are common odors that stink up our RVs. Air fresheners just mask the odors and often smell worse than the offensive odor. RV detailing is expensive, and shampooing often just spreads the smell around. Earth Care Odor Remover Bags can simply be hung in your RV and they will completely eliminate all these odors. Earth Care draws in odors like a powerful magnet. The odors are adsorbed, and neutralized without any fragrances. It is made from an all-natural mineral, is non-toxic, biodegradable and safe for Planet Earth. Clear the Air is also safe around children and pets even if eaten. It does not have to come into contact with odor producer to eliminate the odor. Earth Care does not cover up odors it literally “clears the air” leaving the air fresh and clean. Hang or place one bag in bathroom, and one in kitchen area, each bag covers approximately 100 square feet. Leave windows open for air circulation. If there are strong odors in your RV you may also want to sprinkle Clear The Air Odor Eliminator for Carpets and Furniture on all upholstery and carpet. Leave down overnight and vacuum. All odors will be completely eliminated. The bags will continue to eliminate new odors for up to 3 months. Each bag will cover approximately 100 square feet, some air circulation is best. Planning a road trip for the Holidays? If you haven’t been in your RV for a while, you may experience some foul odors lurking in your RV when you go to get it ready for Holiday vacations. Unless you’re a full-timer, you need to store your RV in the off-season. The following tips will help you prepare your coach for the months it sits idle, so that it will be in top shape when you are ready to take your next trip. Make sure to hang Clear The Air Odor Eliminator Bags throughout the RV and especially in the refrigerator. The bags work best if there is constant air flow through the RV so if you can, leave the windows at least cracked. Cancel liability, collision, medial and uninsured portions of the RV’s insurance policy if you are storing your RV on private property. Keep comprehensive coverage. Clean your RV battery and terminals with baking soda and water and make sure it is fully charged. A fully battery wont freeze until at about minus 80 degrees F but a discharged battery can freeze at only 30 degrees below. Store your battery in a dry, cool and ventilated area away from children and pets. Check to make sure critters are not building nests in or around your RV and engine. Before you start your RV engine or take your coach out of storage, check for nests and rodent damage to wires. Avoid parking your RV tires on the soil and park on thick plywood covered with plastic. Unprotected tires will deteriorate faster. Do you have any tips to storing your RV? Please comment on our blog to share with us! 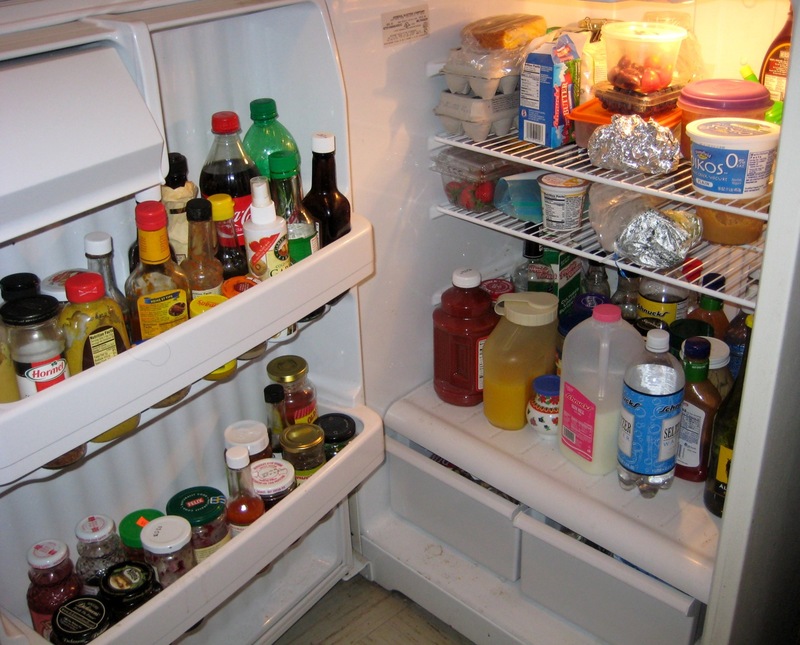 Do you open your refrigerator and a foul odor lingers around in your kitchen for a while? Did you know you can easily eliminate those odors and never allow them to come back? 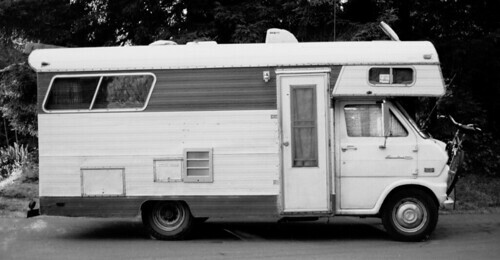 Summer is here, the kids are out of school and it is time to get the RV out to set out on your family summer vacation. Clear The Air would like to share some RV safety tips everyone should know when they set out on their trip this summer. Remember to always use Clear The Air’s Odor Eliminators in your RV to eliminate any odor you may have. Our product works great with refrigerator odors, pet urine or feces odor and any type of musty mildew odor. Batteries – Summer heat can wreak havoc on your RV system. Having backup batteries is extremely important so you don’t get stranded somewhere. Generator – Use your coach air conditioners when driving rather than your engine (dash) air. Using your coach air conditioner or heat pump will provide good climate control and it will force you to exercise the generator under load. Keep Doors Closed – Cabinet doors can pop open when you are traveling and especially if you cross over bumpy terrain. Make sure your cabinet doors are closed and in the locked position. Trash – Minimize the use of disposables. Mix your own cold drinks from powders, and assign a mug to each family member rather than using paper cups. Discard excess packaging at home. Nature – In hot weather, use natural shade, awnings and canvas covers. In cold weather, park where the RV will be protected from north and west winds. Driving – Allow more time to brake, change lanes, and merge onto a busy highway because big vehicles take more time to accelerate and slow down than small ones. First Aid – Make sure to have a first aid kit packed and easily accessible. It is also a good idea to have extra phone chargers, flash lights, paper and pens, and bug repellant. Campsite – Survey your assigned site. Be sure there are no low-hanging branches or other obstacles that will interfere with the RV. If you have a slideout or awning, be sure there is room on either side for those to fully extend. Hookups – If you are hooked to a sewer connection, you can open the gray water tank valve to allow sink and shower water to drain directly into the sewer. It is the smaller of the two valves. Never leave the black water tank valve open.